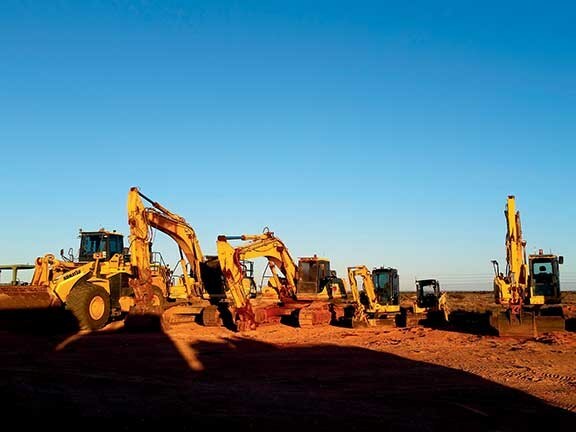 Over the past 12 years, Western Australian-based Lacy Contracting has built a highly successful business based around a fleet of used Komatsu equipment. Lacy Contracting is based at Cue, in the state’s Murchison district, 650km northeast of Perth and 420 inland from Geraldton. It carries out a range of contracting and heavy transport activities for WA Main Roads as well as the region’s mines, shires and private companies. 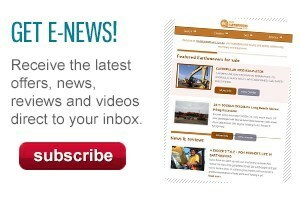 Activities include major roadworks, civil works, ROM crusher works, mine infrastructure and heavy haulage. The company is also about to enter the crushing and screening business, having recently purchased two screen decks and looking to purchase a used BR380JG-1EO Komatsu jaw crusher. Lacy Contracting’s fleet includes 24 Komatsu machines – all purchased used – as well as a number of other brands, also bought used through Komatsu Australia, along with 14 trucks, including tippers, side-tippers, prime movers, tilt tray recovery vehicles and 50-tonne floats. Its Komatsu equipment includes 11 excavators from 5.5 tonnes to 45 tonnes (PC55-8, PC138-8, PC220LC-6, PC270-8, four PC300-7s, PC350-7 and a PC450-8), seven wheel loaders (WA120-3, WA250-3, WA320-1, WA470-5, two WA500-6s, WA600-6, two SK714 skid-steer loaders, GD655-3 and GD655-5 graders, a D275AX-5EO dozer and an HM400-2 articulated dump truck. Peter Lacy’s relationship with Komatsu began shortly after he started his business in September 2004 with just a skidsteer and small tipper, and one other employee. "Dean Jones [Komatsu Australia Murchison and Midwest business development manager] turned up at Meekatharra one day and found me," Lacy says. "The first machine he sold me was a used WA470 loader, and I’ve basically bought everything else off him ever since, apart from a WA320-1 I bought from a local shire and our PC220LC-6 I bought at auction. "And we’ve held onto everything we’ve bought since we started," he adds. Why has he focused on only buying used equipment? "I guess I haven’t really had the finance to buy new – although having said that, our WA600-6 was a Komatsu Premium Used low-hour machine with only 11 hours on it when it was delivered. 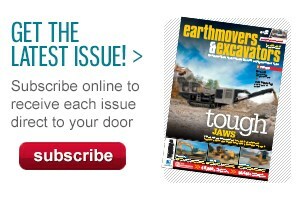 "Generally we buy our equipment at around the 4000-hour mark. The price suits my market, and we’ve found the reliability and performance of our Komatsu equipment to be very good," Lacy says. Lacy does all his day-to-day servicing in-house, getting major service work done through Komatsu Geraldton. 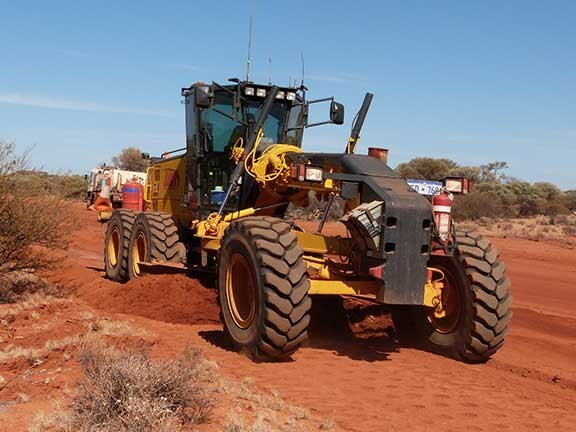 About seven of Lacy’s machines are fitted with Komatsu’s remote-monitoring Komtrax system, which he’s found very useful for troubleshooting and monitoring machines working in more remote areas. "We used Komtrax quite a bit when we had a few issues early on with our GD655-5 grader, which we bought at 8000 hours," he says. "It turned out that a previous user had carried out some unauthorised work and never told anyone, but we were able to track down the cause and fix it with the help of Komtrax. "It’s also very handy for monitoring machines such as our WA600-6 when it’s on ROM pad work, seeing what the operators and others are doing with it. "And if we ever have a theft of one of the smaller machines, we’ll be able to track them and see where they go," Lacy adds.